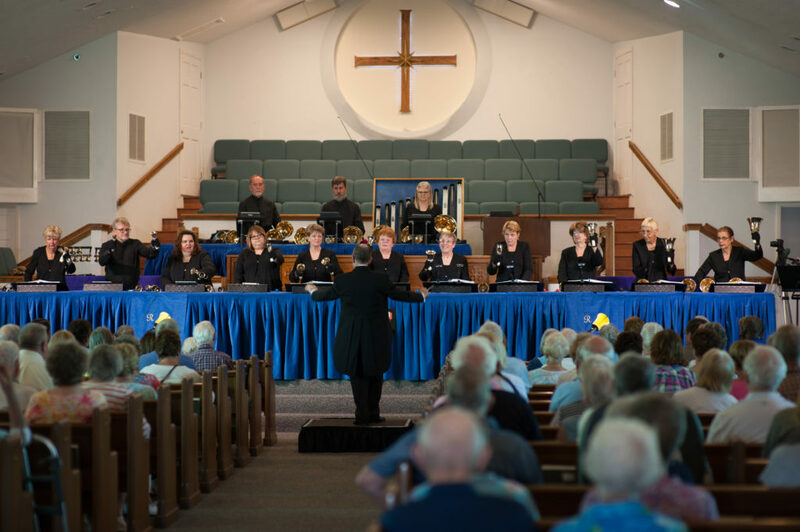 As Ring Sarasota sails past the halfway mark of their ninth season, the ringers are preparing to head north to Hillsborough County. Their next concert is Sunday, March 31, 2109, at the United Methodist Church of Sun City Center. This season’s theme, “Celebrate Sarasota,” takes concertgoers on a whirlwind musical tour of Sarasota, Florida, with stops at Mote Marine Aquarium (“Under the Sea”), the Van Wezel Performing Arts Center (“Festive Dance”), and the award-winning Siesta Key beach – where thousands have said “I do” on the pristine white sand (“Love Will Keep Us Together”)! No visit would be complete without taking in a spring training game at Ed Smith Stadium (“Take Me Out to the Ball Game”), or a stroll through Marie Selby Botanical Gardens (“A Walk In The Park”). You won’t want to miss this unique musical stay-cation provided by Ring Sarasota!